The next teaching will be broadcast live from The Greater Community Sanctuary at 9:00 AM Mountain Daylight Time (MDT) on May 11th, 2019, followed by an open floor discussion. Login or Register to the Worldwide Community Site first to watch and discuss this teaching with others. Archives of Marshall’s teachings can be found in the Community Site Library section. 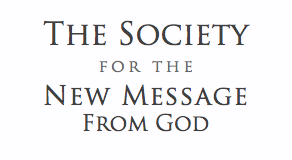 For all students who plan to attend in person, both local and those coming from a distance, please register with The Society at Events@NewMessage.org as space is limited. 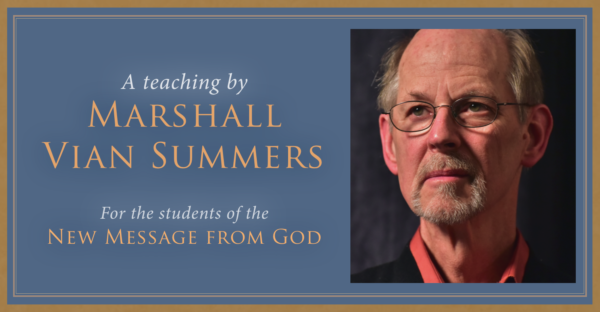 Following the teaching by Marshall, there will be an open floor discussion and fellowship time in the Sanctuary with all those who can attend in person. For New Message students who would like to attend in person in the Greater Community Sanctuary for the live broadcast, but have never attended one of our events before, please help us get to know you a little better by completing this short questionnaire: The Messenger’s Teachings.